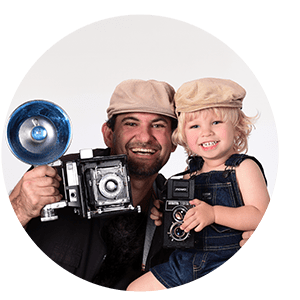 Imagenes Rivera Photography is a professional portrait studio specializing in custom fine art maternity, newborn, baby, children and family photography. Known for heirloom albums and elegant canvas wall portraits. Sergio Rivera’s goal is to provide clients with portrait art for their home that capture the essence of who they are through his artistic vision. He´s a bit of a perfectionist and super passionate. He fully pours his heart and soul into everything He does. Thank you again for considering Imagenes Rivera! We hope to talk to you soon! True family portrait is timeless, tactile and can carry the weight of the generations present, and the generations to come.